TimeZone : Omega » what are your thoughts on the black/white PO GMT? 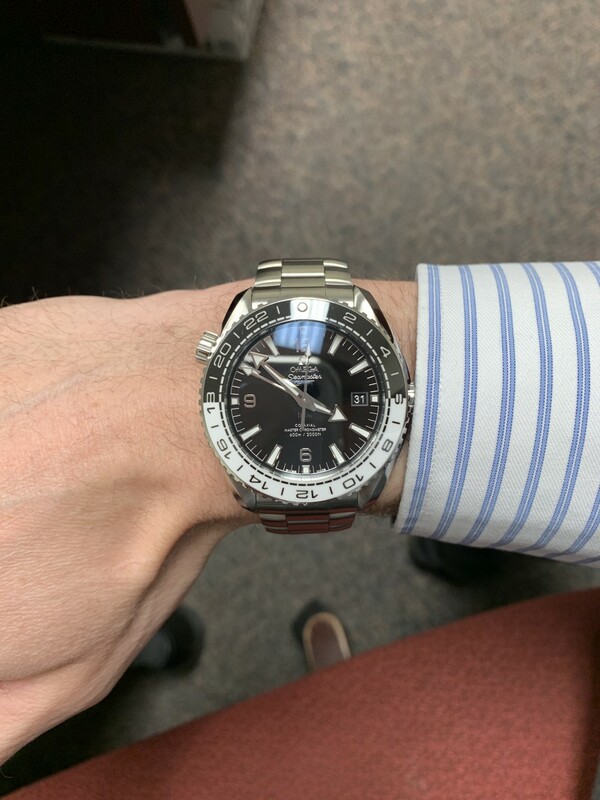 Aside from the thickness (which i agree is too thick, but I can live with), looking for input on the Planet Ocean GMT, the one with the black and white ceramic bezel. Let's hear it, good, bad, or ugly! lol! I think it is quite a nice looking watch, it is big, but then you know that, I would say if it is calling out to you go for it. In photos the color combo doesn't appeal to me, but I realize it probably makes a very different impression in person. Have you seen and handled it in person? As has been said already the Planet Ocean GMT is very, very thick. At 17.04mm it is thicker than even the PloProf, any Speedmaster or any other Seamaster except the Planet Ocean Chronograph. This makes it difficult to wear on a daily basis. It is of course retro-inspired (Seamaster 300) without shouting about it. In fact unless you are a watch nerd you would never know it is an homage to the Seamaster 300. The watch benefits from almost every new technology Omega has to offer - anti-magnetic, new shaped case and lugs, new bracelet end links, waterproof leather and rubber strap, adjustable clasp, METAS certification and even a world premiere bezel. The GMT is also far less recognisable than other Planet Ocean watches with no orange or rubber bezel inserts. The GMT is a very useful (to a point at least) complication. The over the top water resistance and robust design mean it can handle nearly everything you can throw at it even if the size and oddities of the design (helium escape valve) mean it is more at home with casual wear. 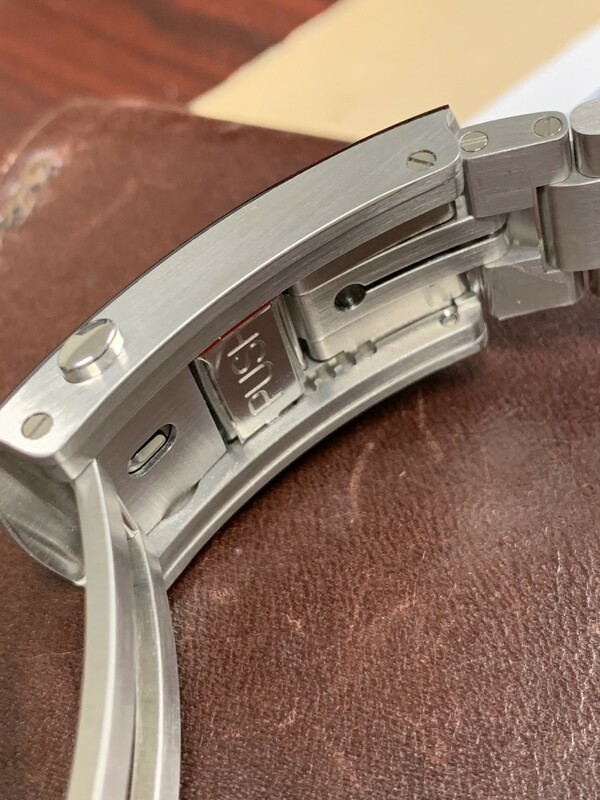 With regard to the bezel as stated above it is a so-called "world premiere" as it is made from two colours of ceramic unlike Rolex two colour bezels whic are made from a single colour of ceramic then treated to get the second colour. It shows too. Rolex "Batman" and "Pepsi" bezels are a little "fuzzy" where the two colours meet, in the good old days when you could actually handle a stainless steel Rolex it is what put me off the GMTmaster BLNR. 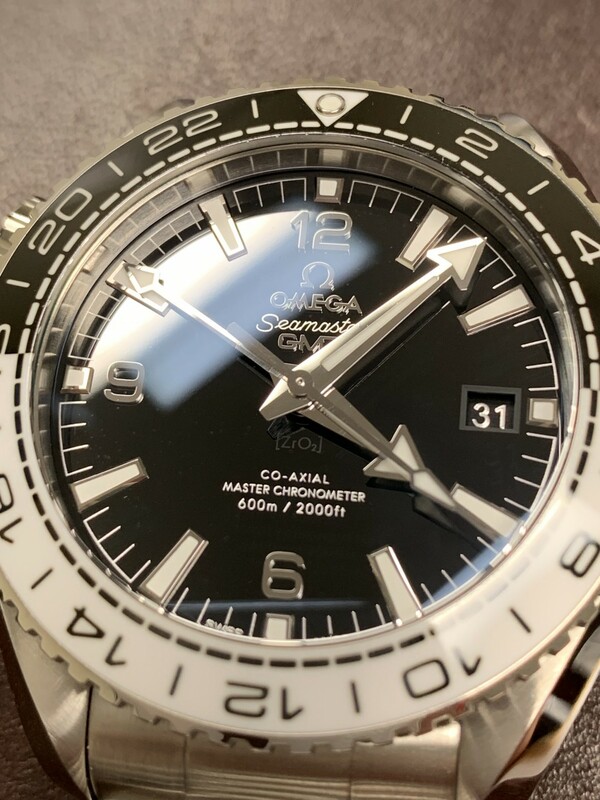 The Omega Planet Ocean GMT bezel has a crisp clean line as it goes from black to white. Having looked at this watch a lot my own opinion is that despite the bulk required to have a 600M water resistance and the existence of the helium escape valve, it is simply not a dive watch. 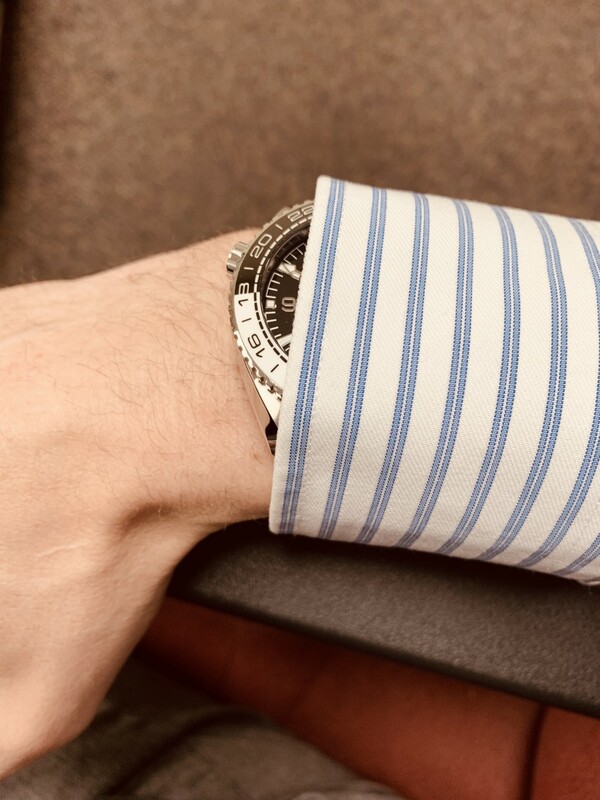 To that extent it is an anomaly and an odd watch to choose being neither one thing (GMT sports/aviation watch) nor the other (diving watch). Omega should perhaps have removed the HEV and sacrificed the 600M WR for a thinner more travel/aviation focused watch. There is no reason it could not stay in the Planet Ocean range after all the Railmaster exists in the Seamaster Collection. 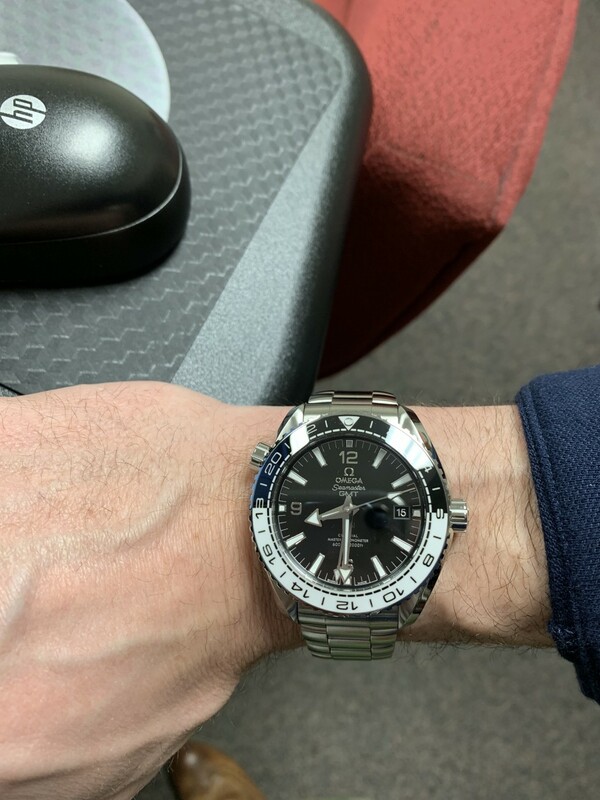 The Aqua Terra GMT is perhaps a slightly better use of the GMT complication than the Planet Ocean being much slimmer, dressier and easier to wear. I would also expect that this year or next Omega will introduce a GMT version of the new Seamaster Diver 300. Given the previous versions of the SMP GMT have included one Aqua Terra style GMT scale on the dial and a diving bezel with HEV a new version could retain the dive watch function. Alternatively there could be a revival of the "Great White" style with a bi-directional 24 hour bezel without the HEV. 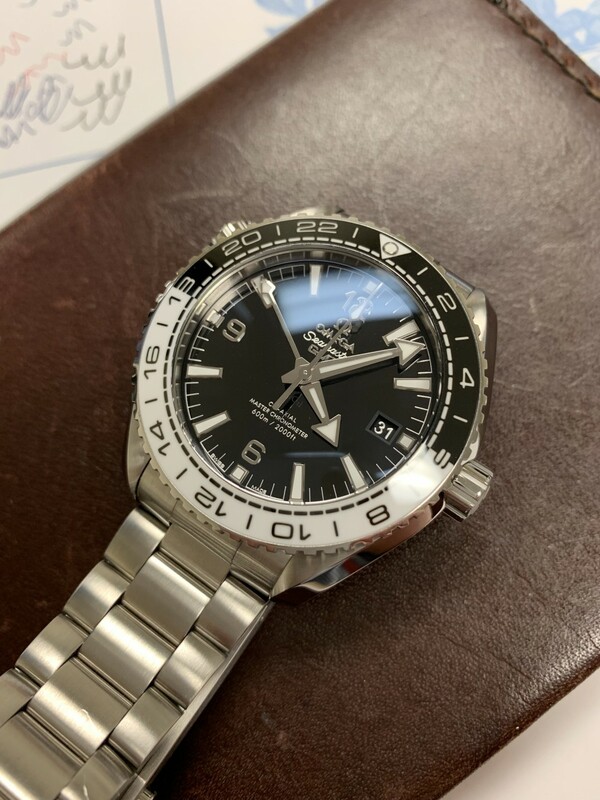 Finally there is of course the Planet Ocean Deep Black that has the same movement and that retains the diving bezel due to the 24 hour scale on the inner rehaut. It is significantly more expensive but it is still a diving watch with a GMT function. Ultimately the black and white GMT Planet Ocean is neither fish (Diver) nor fowl (aviator). I like mine. 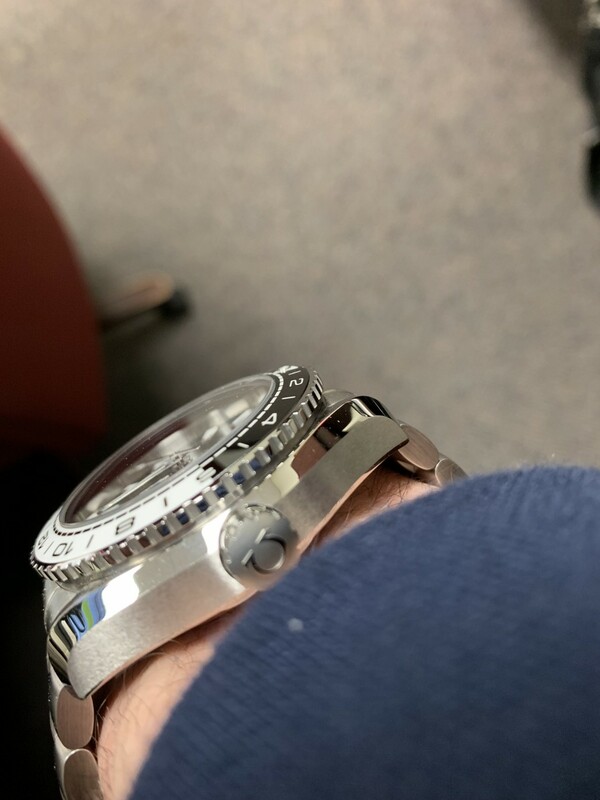 If you can wear the Planet Ocean, the GMT isn't much different--one mm thicker. I have a 6.7" wrist. 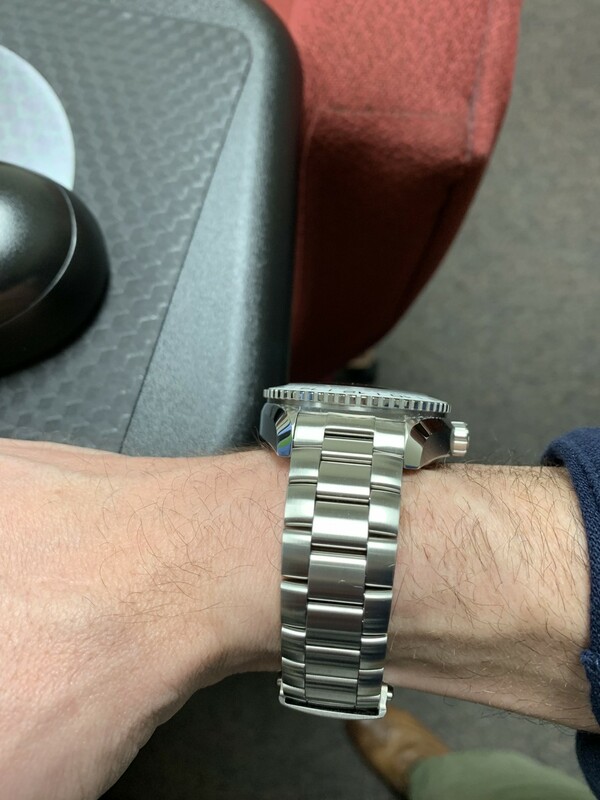 It's a fantastic watch and IMHO every bit as good as it's Rolex counterpart, possibly better when you consider the extra WR, see through back and anti magnetic qualities. Never had an issue with the thickness, perfect size at 43,5mm too.